“Kimono” is a national costume representing the Japanese culture. Although most Japanese people used to wear “Kimono” till the end of the “Edo” period, they rarely wear it these days. However, “Kimono” is worn on auspicious occasions as well as for travels and parties depending on events. 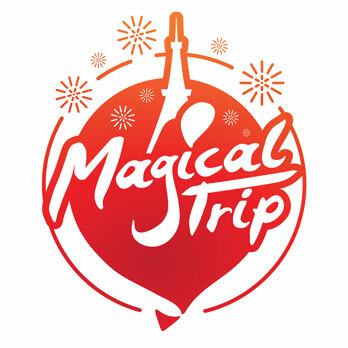 For example to visit touristic spots famous for the autumn tints. The Japanese people admire the autumn tints and changing colors of tree leaves. In this issue we introduce ideal spots to visit in “Kimono”. 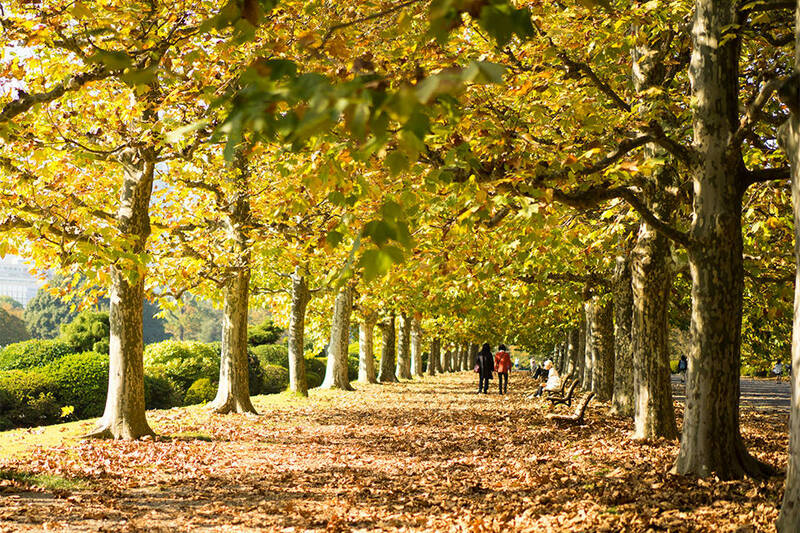 “Shinjuku Gyoen” is a government owned park under Imperial Household Agency. There are many varieties of deciduous trees whose leaves change the color in the autumn. Depending on the tree the timing of color-change is different so that you can enjoy the autumn tints for long time. Please beware that drinking alcohol or playing balls are prohibited in the park. It is an ideal place for enjoying promenade in “Kimono”. 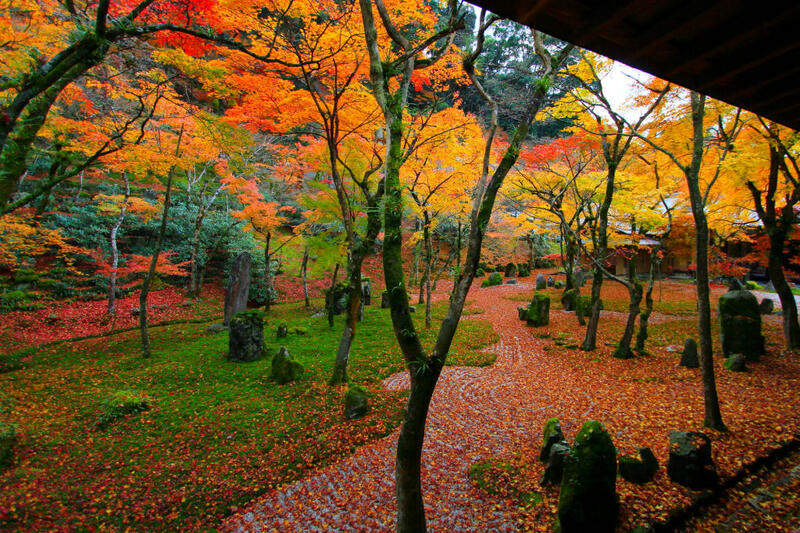 “Eikando-Zenrin-ji” Temple, situated in “Higashiyama” area in Kyoto is well known in Japan for its autumn tints. The famous view spot is around “Tahoto” (a temple tower) where colorful autumn tints cover the tall tower. It has been admired by the Japanese people for more than 1,000 years. Visiting the temple in “Kimono” during this season will go hand-in-hand. 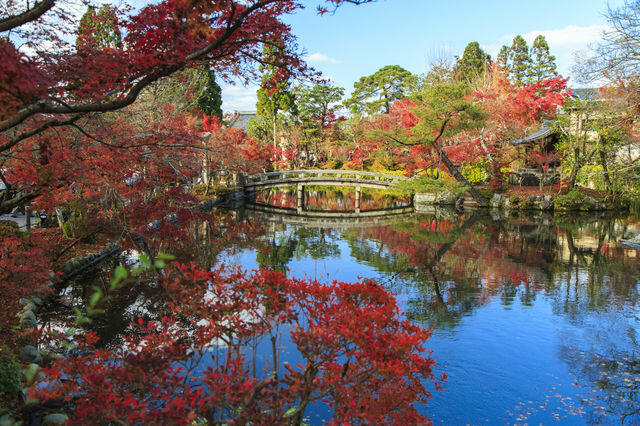 “Kenrokuen” Garden is a renowned spot for autumn tints in Kanazawa. 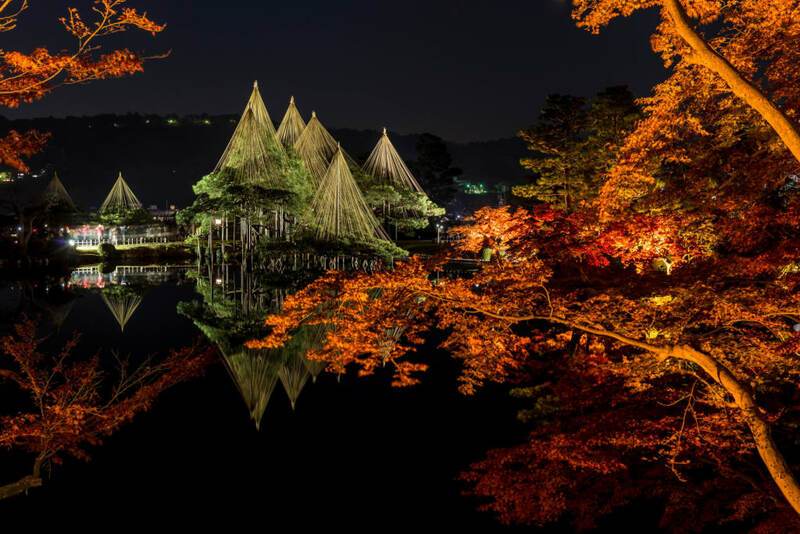 It is one of “three most outstanding gardens in Japan”, built in the “Edo” Period. There are deciduous trees such as maple, zelkova tree and others and their tints of leaves make magnificent autumn view. It is even better at night when they are illuminated. “Komyo-zenji” Temple was founded 740 years ago. Its garden is fantastic and typically Japanese being designed as the lawn represents land while the white sands represent the sea. They create an ideal harmony with autumn tints. It looks more romantic when leaves fall on the white sands. You don’t find a magical view like this in any other place in Kyushu.